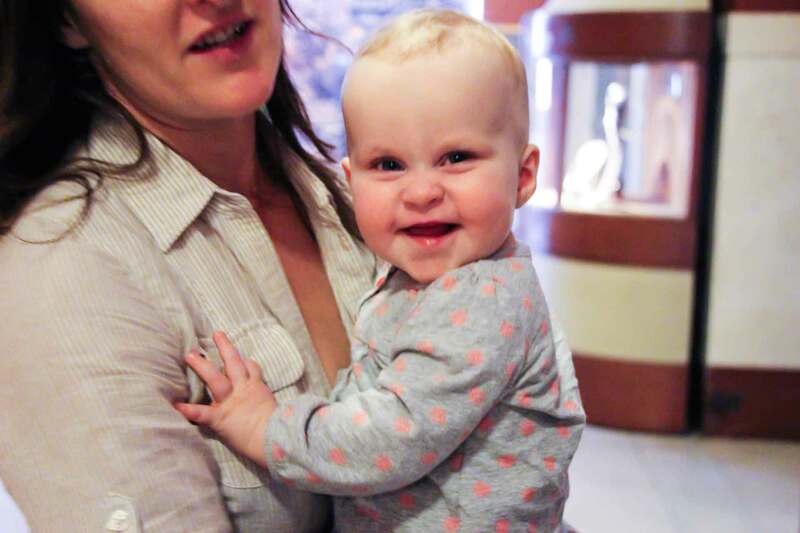 Overall, we found it fairly easy to travel with our daughter when she was little. Our son was very similar. They were both pretty easy going. They slept well in new places. What more could we ask for? Getting good naps on-the-go were the one thing our kids did not do well. The more naps they missed the more trouble we had with sleeping at night. Definitely not something we wanted either travelling or at home. The face of success when we gave up trying to get her to nap! Walking the quietest streets in Manhattan in a desperate attempt to get even a 30 min nap! Next up was a trip to Paris and London when she was 14 months old. We tried to cover the stroller with a blanket again, but we could tell it was just too hot for her. This was the point where we decided to give up on trying to get her to nap on-the-go. We’d get the odd one, but we decided that some days we would just return to our Airbnb apartment to give her a proper nap (especially in the early days of a trip to fend off jet lag). When our son came along, we just kept travelling in the same way and made sure our kids had some downtime in the middle of the day. He would get his nap and our daughter would get her “quiet time”. I’ll admit, I was a little jealous to see other parents with their kids snoozing away in the stroller, but we did what worked best for our family. 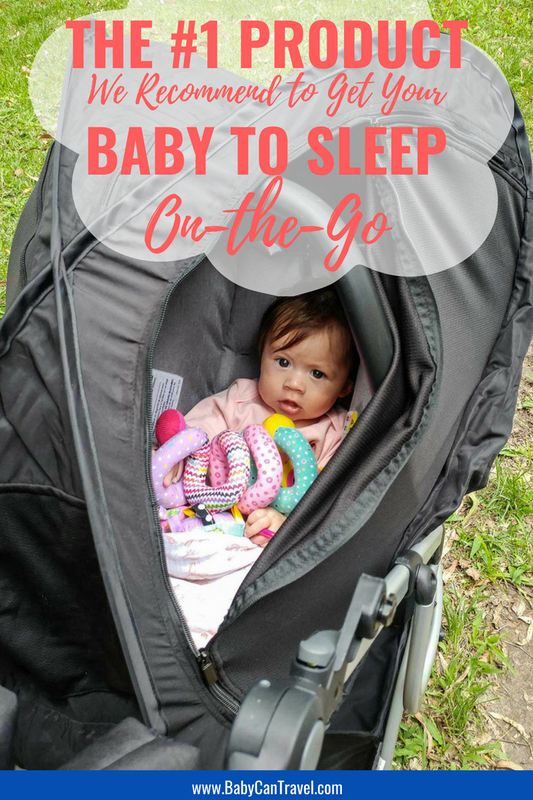 It wasn’t long after all this that we made some changes to how we travel (we incorporated a lot more active travel) and started using a baby carrier or backpack carriers exclusively. But when I look back on those early days, I know a product like the CoziGo would have made our life so much easier and solved some of our sleep issues. It actually blocks 97% of the light and removes distractions! That’s exactly what we needed. 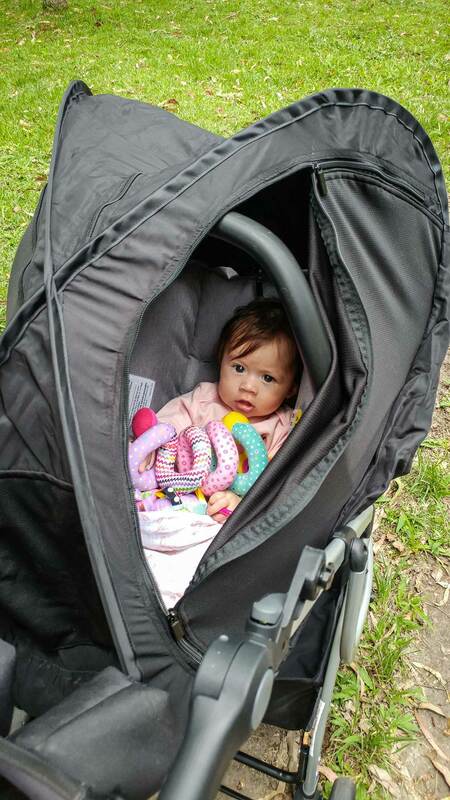 There was even one of those #momguilt moments when our daughter was sweating in her stroller because of the blanket I had put over, not realizing how hot it was in there and thinking the little openings I had left on the sides were enough… It wasn’t even that hot out! 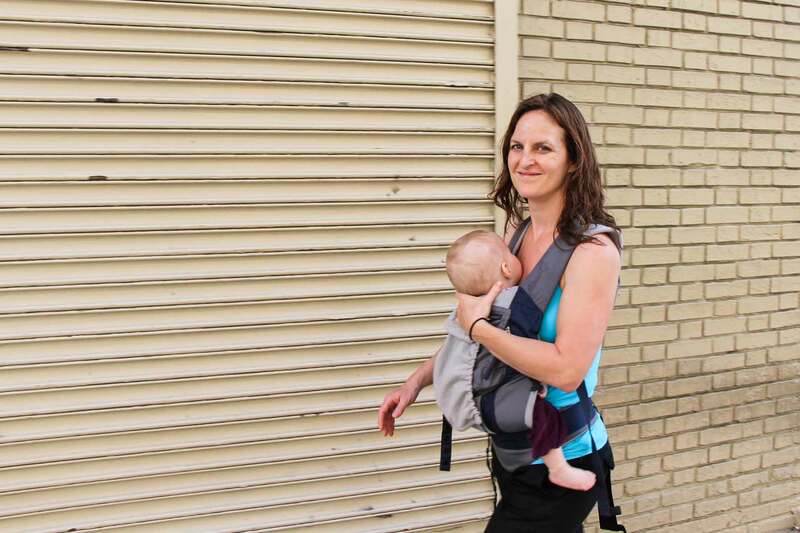 The CoziGo, which is 100% breathable mesh fabric, is such a better option plus has 50+UVP – perfect to keep a baby under 6 months out of the sun when they can’t wear sunscreen yet! 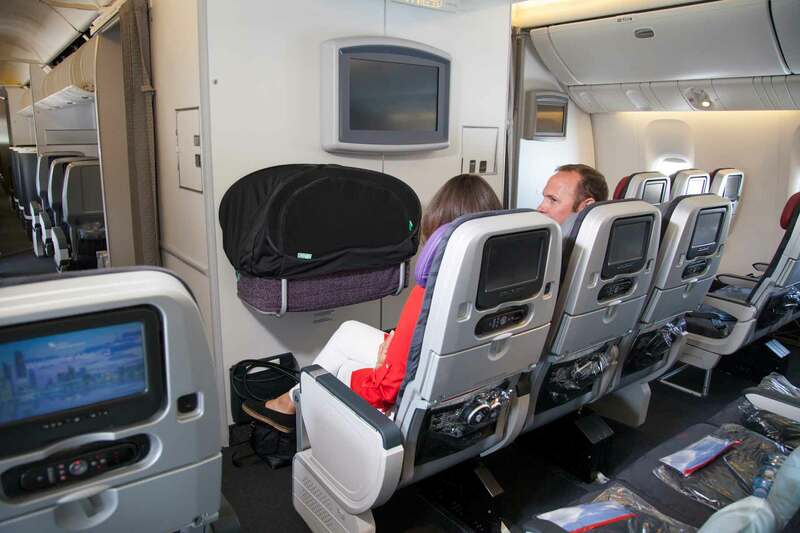 The CoziGo is also made to go over any airplane bassinet. We only ever had one flight with the bassinet when our daughter was 3 months old, but having this would have been a life saver when flying with a baby, especially when the lights were turned on and she was still sleeping. Flying with your Baby? Don’t miss our post on Flying with a Baby and Breastfeeding on an Airplane plus get all our ideas on how to Entertain a Baby on a Plane! 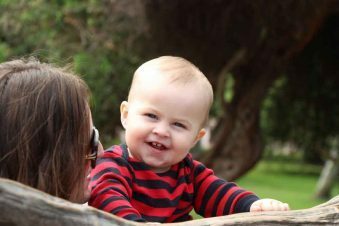 So how does the CoziGo actually work? Watch this video for how this simple yet ingenious concept works as I unbox it for the first time. 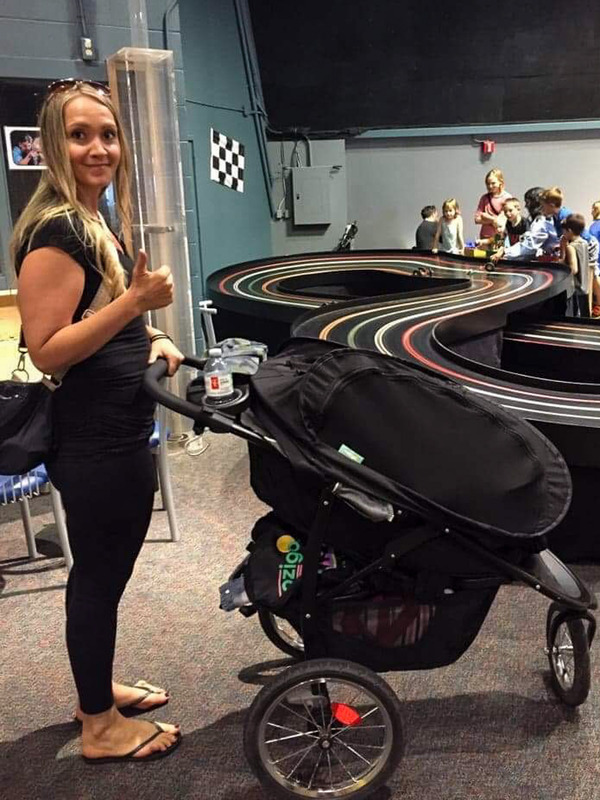 Next up, we tested it out on a stroller. This was a large jogging stroller and there were no issues getting it to fit. 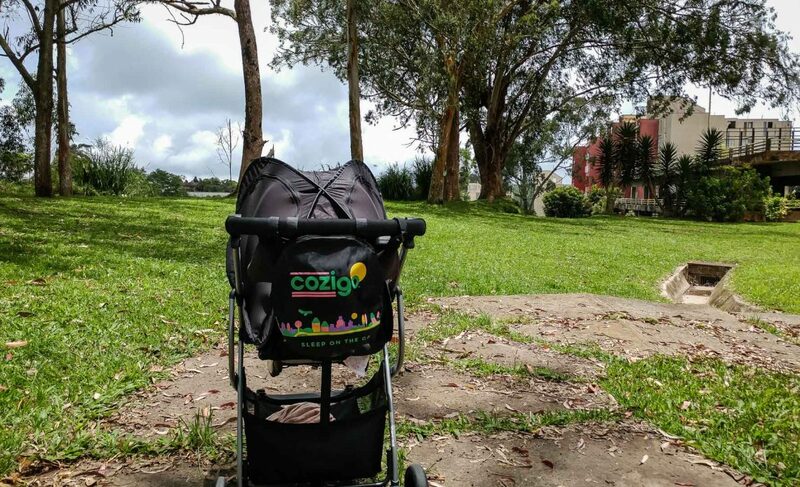 “The CoziGo saved us quite a few times! We ended up traveling on the day that air Canada introduced their new check in systems. Line ups were long and Mila was getting overwhelmed and tired. I decided to try the CoziGo, it was just enough to help baby relax and calm down. I also used it just as a sun shade by leaving the side panels open when visiting the beach. I got invited to visit a science centre with my sister and nephews right in the middle of nap time. Usually I would have said no but decided to attempt a nap on the go with CoziGo and it was a huge success! She napped way longer than I expected. Follow Roselyn on Instagram here. 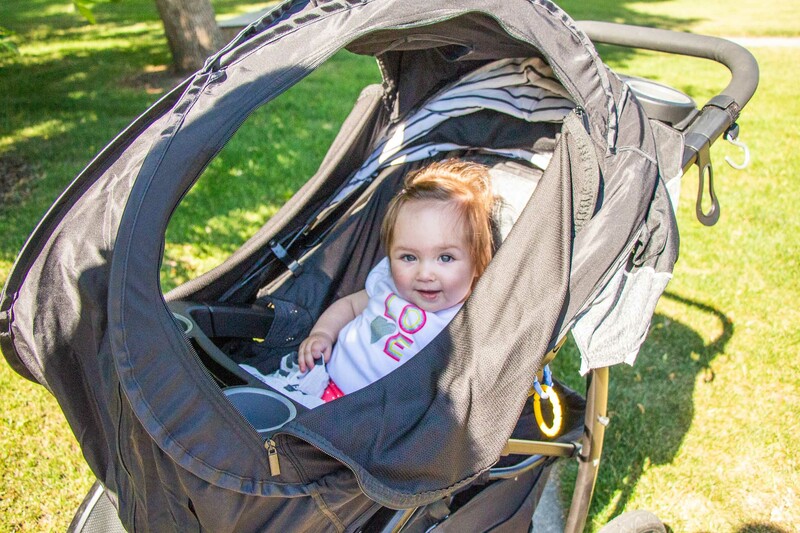 As you saw in the video above, Mila was not happy the first few times we put the CoziGo on the stroller. We recommend trying it out several times before travelling with it. It may be more comfortable for the baby to get used to it by leaving one of the site panels open to start. It can take a bit of getting used to get it folded back up and into the travel pouch. Do some practice runs before leaving on your trip. 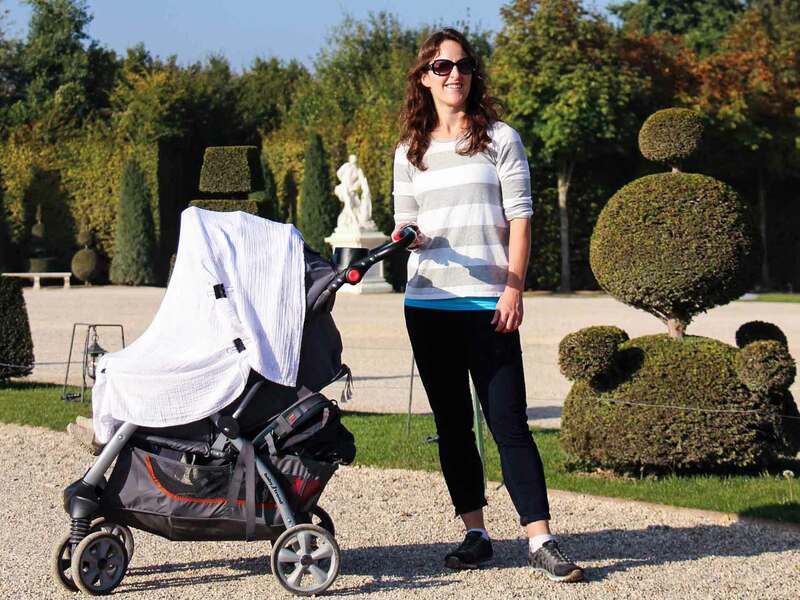 It’s universal fit should work for most airline bassinets and all strollers. It blocks 97% of the light, is 100% breathable and has a UVP +50 rating. It has two side panels that open fully plus a peek-a-boo panel at the top. CoziGo has been formally approved on several airlines (you can find the updated list in the FAQ section on the CoziGo website). We typically list any drawbacks to a product, but in the case the only issue is figuring out how to get it folded back up easily. Something that could easily be overcome with some practice. 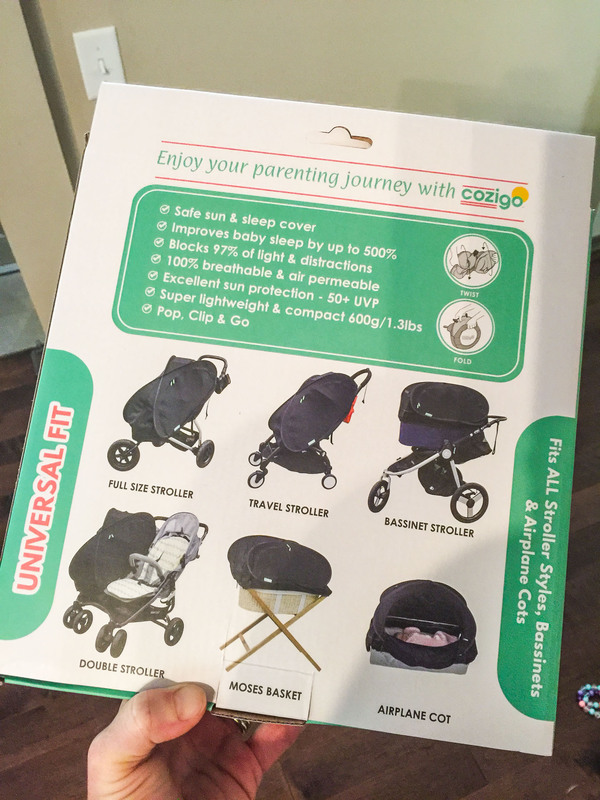 Not only is the CoziGo a great product for travel with a baby, but it’s also great for every day use. That’s something that we really like! You can buy your CoziGo direct from the website. Free shipping for USA, Canada, UK and Australia! Note: We were sent a CoziGo for the purpose of testing it out, however all opinions are own. This post contains compensated links. If you have any tips or questions about this post, please comment below!